There have been several revisions of the PDF file specification, each backward compatible but adding new features. For example, version 1.6 added a new way to squash down data and reduce the size of PDF files. The current latest version is 1.8 and while it may work in libraries which do not support 1.8, there is no guarantee. Sun’s Java PDF Renderer does not support many of the features in versions 1.6 and above which is why it fails on lots of PDF files. 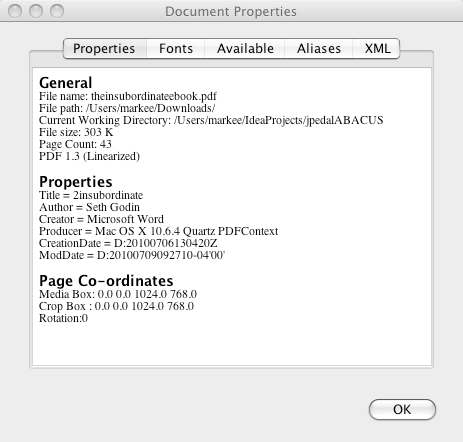 You can also find the version by opening the PDF file in a text editor. Most of the content will look like garbage (and you must not resave the file because you can corrupt it), but the first line always contains the version. This is very useful if you are writing a program which needs to know the version – you just need to read the first line of the file. 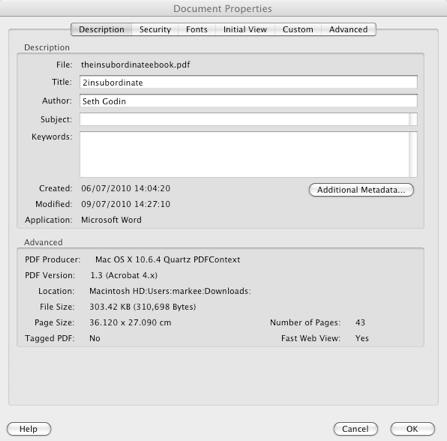 The version is also worth considering when creating PDF files. Many creation tools let you target a certain version. Do you need all the bells and whistles present in version 1.8? 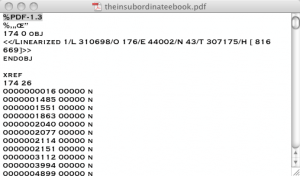 Does the PDF look identical if you use version 1.4? Is there a feature in you consider critical in later versions? What do you think? There is no PDF Version 1.8, I had never heard of it. The next Version to be published will be 2.0. 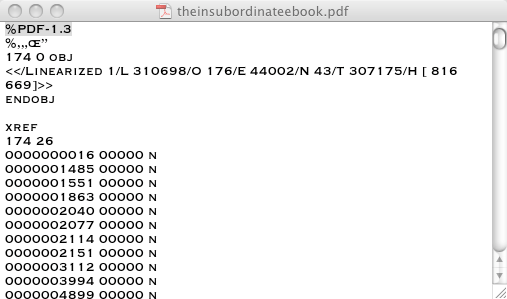 There must be another place in the pdf file where the version is stored. I got some pdf files which contain Version 1.4 in the first line but Acrobat reader claims they were PDF Version 1.5 (all other tools say 1.4)! Not completly, there is another location where the version can be stored, there is an optional version tag in the documents catalog which overides the information in the files first line (you can lookup this in the PDF format specification).